In a small bathroom, space is at a premium and you may think that there’s not enough room for any storage, but with some clever planning, there’s plenty of ways that you can incorporate storage into this much-used room. From toiletries to toilet paper and towels, there are so many items that are used every day that need to be kept in the bathroom, but where on earth are you going to put all this stuff? 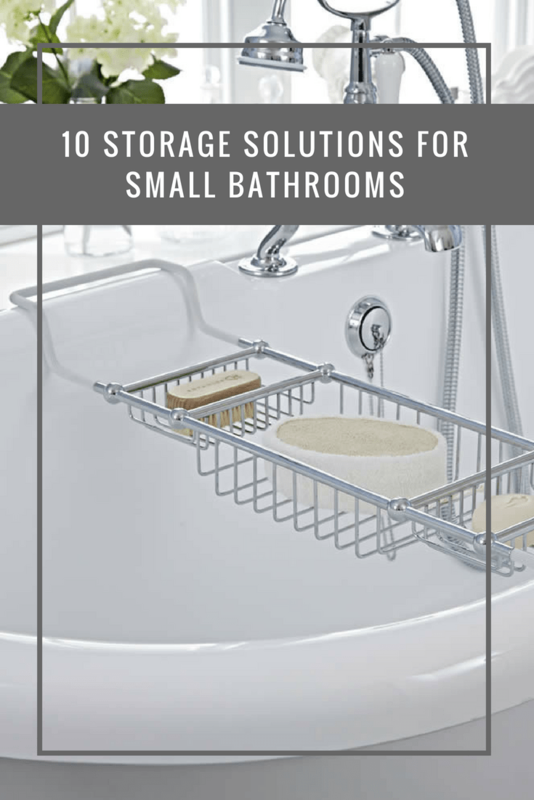 Luckily, bathroom specialists, BigBathroomShop are on hand to share their top tips for incorporating storage into a small bathroom. Vanity units are a popular storage solution for any bathroom. 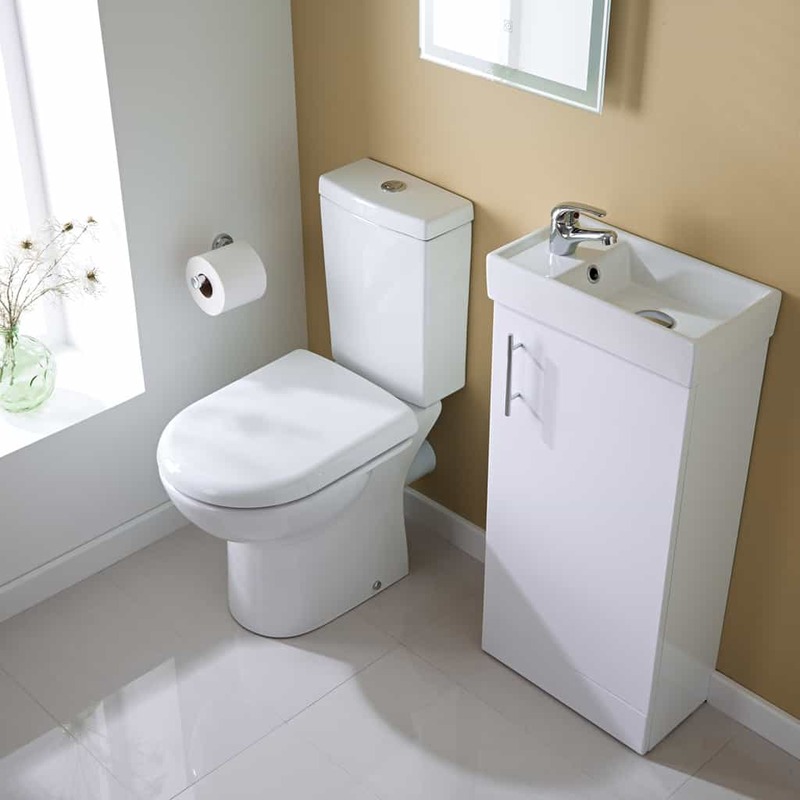 Available in a wide range of sizes and styles, they combine a basin and storage into one handy unit, which removes the need for a separate sink and cabinet. 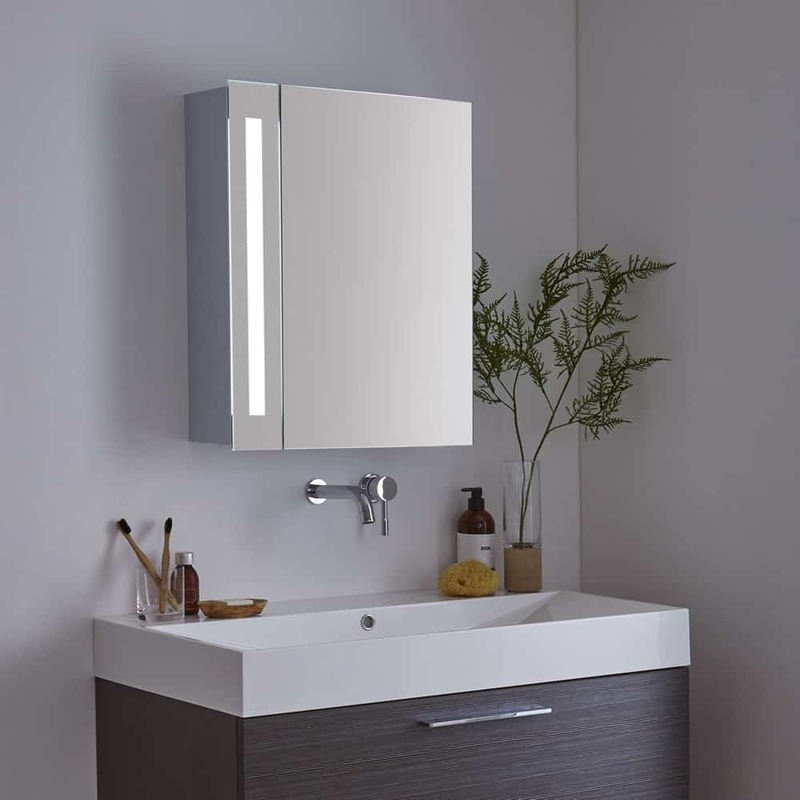 When shopping for a vanity unit for a small bathroom, choose one with compact dimensions and a slim-line design to maximise space. Wall hung vanity units are also perfect as they create the illusion of more room and make the floor easier to clean too. Or you could fit a corner vanity unit to make the most of the available space. With a vanity unit, you can keep all your toiletries and beauty products neatly hidden away yet easily accessible. Adding a shelf above the bathroom sink is a simple yet effective way to incorporate storage into a small bathroom. You can use it to display perfumes and candles, or for the things you use every day. Choose a glass shelf to help enhance a sense of space, and to keep the space looking airy. The space above the toilet is one area you’ve probably not thought about when it comes to storage. This space is a great spot for shelves or a cabinet. 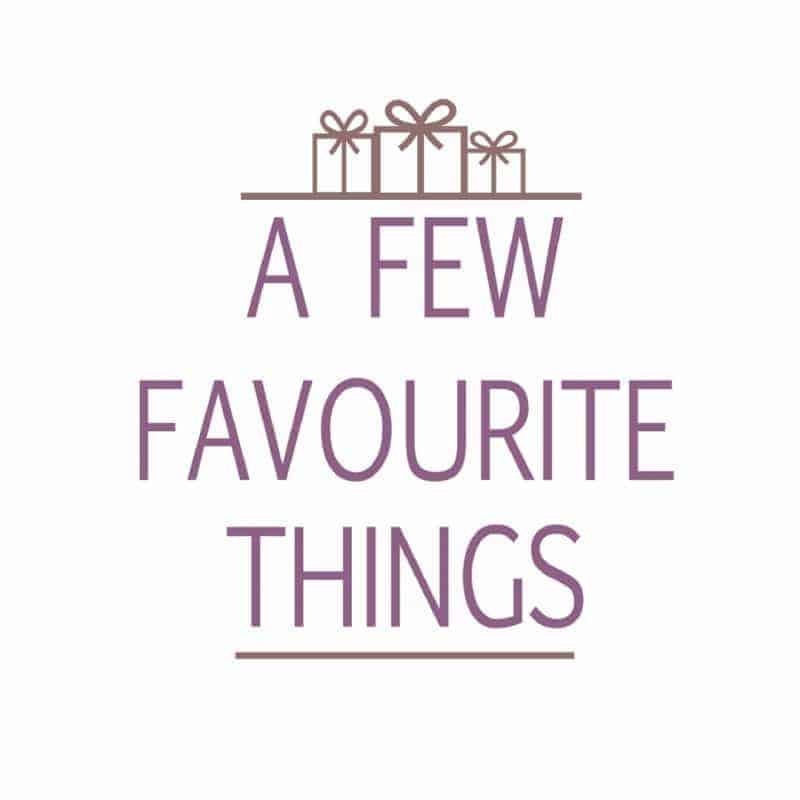 Use it to store spare toilet roll or to display decorative objects. A mirrored cabinet will make great use of the space above the basin, and it’s a stylish and practical storage solution for any small bathroom or en-suite. Choose one with energy-efficient LED lights, which provide useful illumination for applying make-up or the morning shave. A couple of wicker baskets dotted around the bathroom creates handy storage for towels, toilet roll and other essentials, and adds a touch of rustic charm too. Wicker baskets are affordable and add storage to your bathroom in an instant. Place under the basin, on the window-ledge or on a shelf. If you love to enjoy a relaxing soak, then you’ll need somewhere to keep your bathing essentials close to hand. Bath racks are a handy storage solution, and most are adjustable in size to fit the width of your bath. Alternatively, you could place a small wooden stool next to the bath for a spa-style touch. If you have the budget, it’s well worth getting one of the walls reframed, in order to create a couple of recessed shelves. Recessed shelves are a clever and stylish storage idea for small bathrooms, as they don’t encroach on valuable space. For a luxury touch, fit a couple of downlights to highlight a pretty display. It’s also a good idea to add storage to your shower area too, as the shower tray can easily become cluttered with bottles of shampoo and body wash. A corner shower basket or shower tidy provides the best solution for keeping your showering essentials neat and organised. Mason jars are inexpensive, charming and a simple storage solution for the bathroom. 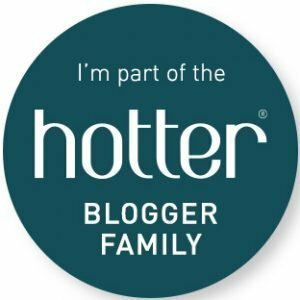 Place on shelving and use to store toothbrushes, soap, cotton wool and much more. You could even paint them to match your bathroom colour scheme. If you love a bit of DIY, then why not transform a couple of crates into some handy shelves. Crates can easily be made into shelving for your bathroom essentials. Hang them on the wall or place underneath the basin to keep your toiletries neat and tidy.